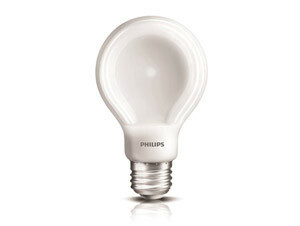 Par of the latest generation of Philips LED bulbs, the SlimStyle LED 60W bulb leverages its uniquely flat surface to conduct heat away from the LEDs, eliminating the need for the heavy aluminium heat sinks associated with LED bulbs. 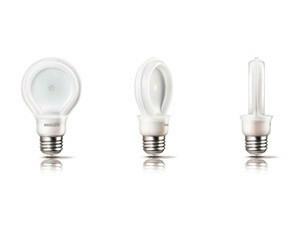 This innovation helps to reduce the cost of the bulb, while still delivering the same high quality, omni-directional, dimmable light consumers desire. Providing a soft white light helps to create a comfortable and relaxing environment, and the SlimStyle bulb is the same size as a traditional A19 light bulb but with a new, sleek, flat design.